Advanced Micro Devices is having an incredible day in the market today, following up on the gains that we saw on Friday as a result of board changes. Now, investors are asking a simple question, “Can the stock continue to climb higher?” Today, we’ll talk about the board changes that were recently announced, what we’re seeing in the market at the moment, and what we can expect to see from AMD moving forward. So, let’s get right to it! As investors, one of the first things we learn is to watch the news. After all, the news will move the market. When positive news is released with regard to a stock, we will generally see an increase in value. Adversely, negative news will cause prices to decline. In this particular case, news that Caldwell will be joining the team at AMD is overwhelmingly positive. After all, the company is seeing weak growth in the PC sector, and a shake up that brings new outside opinions in with regard to company growth is a great thing. So naturally, we saw incredible gains in the value of the stock on Friday. Today, those gains are continuing. Currently (12:57), AMD is trading at $3.82 per share after a gain of $0.14 per share or 3.95% thus far today. 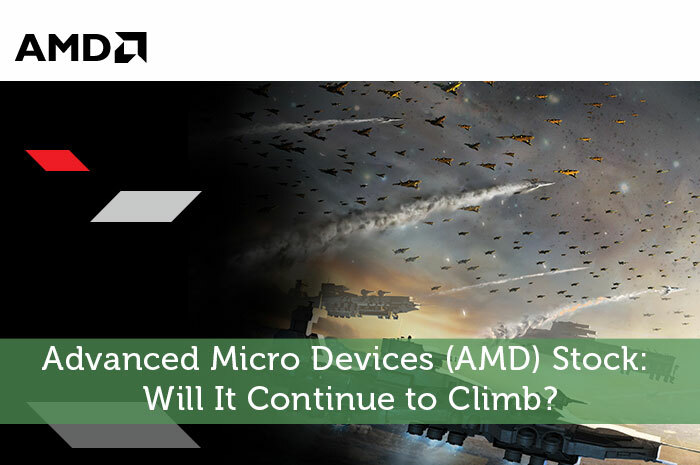 Moving forward, I have a relatively mixed opinion of what we can expect to see from Advanced Micro Devices. The news that Caldwell will be joining the Board of Directors is overwhelmingly positive news and will likely lead to further gains in the short term as investor excitement continues to build the momentum on the stock. However, in the long run, there’s a few concerning factors that we have to consider. AMD started out building high end chips for computers, and the company did incredibly well. However, in recent times, the company as seen issues with regard to PC sector growth. With Intel pushing the level of competition higher than ever before, AMD is forced to come up with something spectacular or face the harsh reality that they may not do very well in the PC sector moving forward. Recently, the company has changed its direction to creating custom chips for big gaming companies like Microsoft and Sony. However, this business simply isn’t enough to make up for declining momentum in the PC sector. All in all, the long run view on the stock is overwhelmingly concerning. While I wouldn’t sell Advanced Micro Devices at the moment, you definitely won’t catch me buying it either. Where do you think AMD is headed moving forward and why? Let us know your opinion in the comments below!